Contains: Wheat and tree nuts (pine nuts). Eat within 7 days. Keep refrigerated. Freezes up to 3 months. Contains: Milk (yogurt, ricotta, mozzarella), egg, and wheat. Eat within 7 days. Keep refrigerated. Freezes up to 6 months. Contains: Milk (butter), wheat, tree nuts(walnuts or pistachios). Eat within 30 days. Store covered, at room temperature. Freezes up to 3 months. Contains: Wheat, milk (butter), and tree nuts (pine nuts). Eat within two weeks. Store covered, at room temperature. Freezes up to 3 months. Order by filling out a contact form, e-mailing, texting, or PM-ing me on social media, include your e-mail address with your order. We accept all major credit cards, PayPal, and cash. Pick-up only. I’ll confirm pick-up time and send an invoice through e-mail after I receive your order. I’m sad to say that I will be away in San Francisco on your birthday the 20th or I would have been at your pop-up. 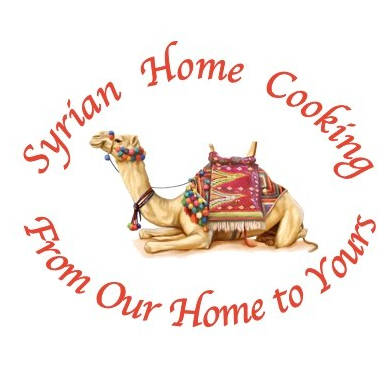 I too am Syrian/American and I cook some mean grape leaves I’d love to share with you sometime. My sister who is here in Portland as well will hopefully attend as I will be sharing your invite with her. I wish you a happy birthday and I hope your event goes well. I would like to be included of any future events you are hosting and if there is a location to find you and your food please let me know. Ahlan! I’m sorry I’ll miss you but I hope you have fun in San Francisco. My birthday is the 20th, but my event is the 16th (I’m celebrating early since all my friends are coming). If you’re still in town then (that’s this Saturday), come by. Otherwise, I would love to stay in touch (and try your grape leaves!) I have some in the freezer from this summer – got to hoard them away, right? Please ask your sister to introduce herself to me if she makes it to the event. I’d love to meet her! If you click on my Contact page, you can leave me a private message there. Include your email address and I’ll add you to my list. That way, you’ll be notified of future events. Thank you so much for reaching out. When you come back to town, feel free to call me and we can chat. You’re welcome to come by and visit. Ahla wa sahla anytime! Please check the schedule for planned baking times, but also check with me for availability. A special baking day can be scheduled with a minimum $150 order upon request.